Methlick’s very busy annual Scout & Guide BBQ was the venue for a surprise presentation of a top award for Scout Craig Taylor. Craig was presented the award for outstanding meritocious behaviour by the Scouts Commissioner. It was in recognition of his personal determination to keep his scouting activities despite long illness and now hopefully, recovery from a brain tumour. Throughout he has been participating in his own and helping others in Scout activities. 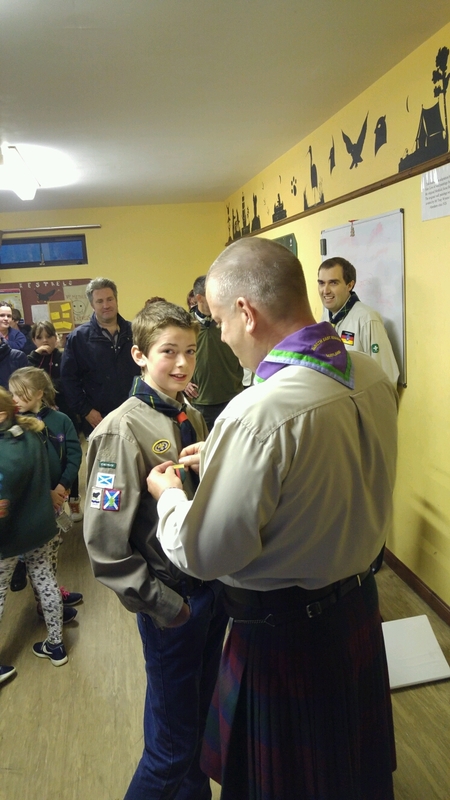 The award was greeted with applause by parents and friends at the packed Methlick Scout Hut. A Scouting medal was pinned to the surprised Craig while 1st. Methlick leader Keith Hewitt looked on.